Description: Eat, learn, discuss & grow! The March Lunch & Learn will be held on March 21 from noon - 1 p.m. at Heartland Regional Medical Center, Classroom 1. The topic will be "Work/Life Balance." 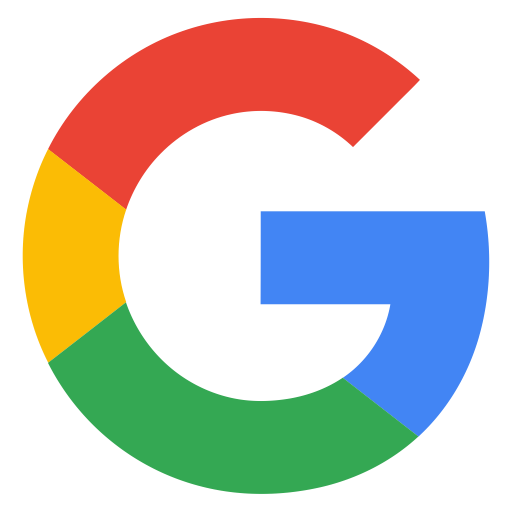 The March Lunch & Learn will be presented by Tom Harness - Owner of Harness Digital Marketing, Beth Harness - Senior Cardiovascular Sales Specialist with Novartis Pharmaceuticals, Rocio Reyes Williams - Pastor of New Burnside/Taylor United Methodist Churches, and Russell Williams. Being a Business Owner or Community Leader is not only stressful for the individuals, but it can be challenging for those family members around them. In our panel discussion, we will address some of those challenges and some solutions to help those in attendance take back and implement in their personal lives. This session will follow up with a brainstorm session of other possible solutions those in attendance have implemented in their own personal lives. Details: Eat, learn, discuss & grow! 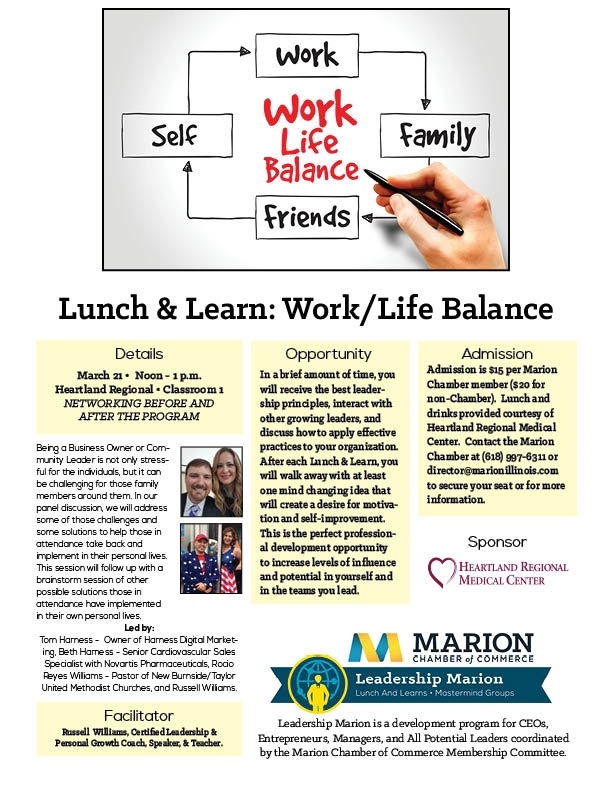 The Marion Chamber of Commerce will host a Lunch & Learn each month in 2018 as part of the Leadership Marion program.